Food Renegade brings us this news during this week's Link Love. Marion Nestle of Food Politics describes how big agribusiness is starting to move against sustainable farming. It is shocking, and yet highly encouraging, to see Big Agricultural leaders responding to the increasing awareness of how consolidated and/or conventional farming practices are bad for our health and the environment. In October, there was a planned lecture to be given by Michael Pollan at Cal Poly university. It was to be a one hour lecture and naturally it would be about the emerging viewpoint that corporate food manufacturing is neither healthy nor tenable. When David Wood, chairman of the Harris Ranch Beef Company, heard about it, he threatened to withdraw his planned $500,000 donation to the university which would be used to further industrial beef processing education. The university complied with Wood's demands, and changed the format of the event to a panel, bringing in industry members who would offer conventional viewpoints. Chairman Wood objects to the opinions held by Pollan (and other organic/local/small farm producers) which lead one to believe that if someone were to see how industrial-produced food was made, that person would not want to eat such food anymore. This is not something to simply object to; if the chairman believes his manufacturing process is worthy of scrutinization, he should be going out of his way to show it and thus prove these contrary opinions wrong. However, that's not what he's doing; he's using his accumulated power and money to simply squash the competition by hiding it where no one can see. That alone should cause the average consumer to stop buying, immediately. When people everywhere realize how Big Ag is hurting them, then we will start to see real change. The average person probably doesn't wish destruction or bankruptcy on companies such as Mr Wood's, but probably does demand ethical and moral business practices be followed. It is high time for corporations to take responsibility for their behavior. Thieves oil. Historically, this mixture of essential oils was used by a group of thieves during the plague. They were said to have robbed the bodies of the dead and not contracted the disease due to this concoction. Whether that's actually true or not doesn't matter so much as the ingredients of this mixture and whether it really helps. It typically has cinnamon, lemon, and eucalyptus oils, but may also have clove and rosemary oils as well. All together, this combination of oils is a strong antibacterial, antifungal, antimicrobial, antiviral, anti-inflammatory, and is a good antioxidant as well. Wow! Not only that but can improve circulation in the body while stimulating your white blood cells. Among other things. 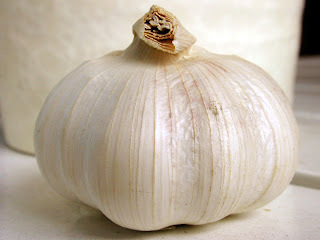 But best of all, it smells delicious so you can really enjoy using it. You can apply it topically or take it interally - or both, of course. 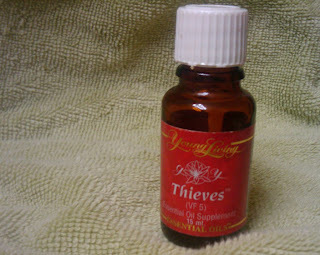 I use Young Living's Thieves Essential Oil (http://www.youngliving.com/thieves-essential-oil/Thieves-Oil). It's expensive for such a tiny bottle, but it lasts a good long while, too, since you only use a couple of drops per day. I melt a tiny bit of coconut oil in my palm, add 2-3 drops of thieves oil, and then rub it on my face and neck. I've also been told that applying it to the soles of your feet before donning socks is a good way to absorb its properties as well. This might also be helpful when applying it to children who might otherwise fuss. As an aside, I've also tried testing this coconut oil-thieves oil mixture as a deodorant, and it works, although it's not as strong as a mineral-based or otherwise commercially prepared deodorant. If you're sitting at a desk all day, it would probably be just fine, but it wouldn't cut it for outdoor or heavy work. Government uses The Henson Company to push junk science on kids? The Department of Health and Human Services, along with the Association for Prevention Teaching and Research (APTR), First 5 California and The Boeing Company are funding an episode of The Jim Henson company in order to bring the mainstream vaccine message directly to your children. 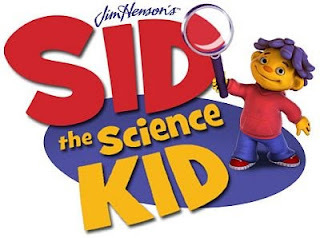 On October 26th, Sid the Science Kid, a show aimed at preschool- and kindergarten-aged children, will be airing a special episode aimed at convincing children that vaccination is how to keep from being sick. The episode will center around Sid's school's vaccination day, dealing with his and his friends' feelings about receiving a shot. I will be watching this show as soon as possible to see exactly what and how they are going to present this information, but I can already guess that there will be no dissenting views against vaccination that will be shown in any kind of positive light. Most likely they will show the kids as nervous or frightened about the pain of being stuck with a needle, and then some rationally-sounding doctor type of person will reassure kids that there's absolutely nothing dangerous about getting a shot. This, of course, as many and more people are realizing today, is as fictional as the characters themselves. It is refreshing to see that three out of four responders to a pro-vaccination opinion on PBS's own website stand adamantly against the process. It is refreshing because it means more people are actually pausing to consider the history and ramifications of vaccinations before running out and injecting whatever pharmaceutical company X says is safe. I think the recent (and ongoing as of this writing) swine flu outbreak may be actually more of a boon to proving the falsehoods of vaccination. Not only are the terrible side effects of the swine flu vaccine from the '70s rather well-known, but the fact that this current vaccine was rushed through production has given people this pause for reflection. However, as this children's episode proves just by its creation, the war is certainly far from over. I know friends and co-workers personally who rush right out every year for the latest flu shot, due to ignorance or propaganda. Stay strong, and keep hope alive. Eventually truth will win out, but I hope not many more will contract autism or die in order for it to prevail. I'm just a dad with a longing to be healthy and near his children. That's it, in a nutshell, but naturally there's more. Usually, I sit all day at the computer working on projects for large corporations that through some twist of fate are big food manufacturers. I find it a bit ironic because everything they produce goes against the "principles of food" I have come to believe in. I grew up as a fat kid because, due to my inborn love of computers, I sat a lot when I was young. It is not fun whatsoever to be overweight, and being so while young only magnifies the discomfort. Through dieting, I gained a fairly-normal physical size, and since then usually followed a fairly good eating regiment and exercised somewhat properly. I'm not sure at what point I started "waking up" to realize the sorry state of food production in America, but it was mostly after 2000 that it really started hitting me. I had always been healthy but started noticing slight failings in my body; skin problems. For years I didn't know what was going wrong and I tried everything I could think of, going as far as using off-the-shelf hydro-cortisone. Nothing "fixed" it until I discovered the book, "Never Be Sick Again" by Raymond Francis. I just happened to walk by it while it was on display at the bookstore, and on impulse I picked it up. I had known about white flour and sugar being bad for you, but this book helped me discover that the OILS we consume are particularly bad. I discovered how despicably the healthy oils, such as coconut oil, had been maligned by financial interests in America, and that opened the door to an entirely new consciousness of being healthy. So in the end, it has come down to this: I want people to be happy and healthy. I want to devote my life to helping others in a way that I can still spend time being with my family. I want life to have a personal, caring touch. I want it to start right now.